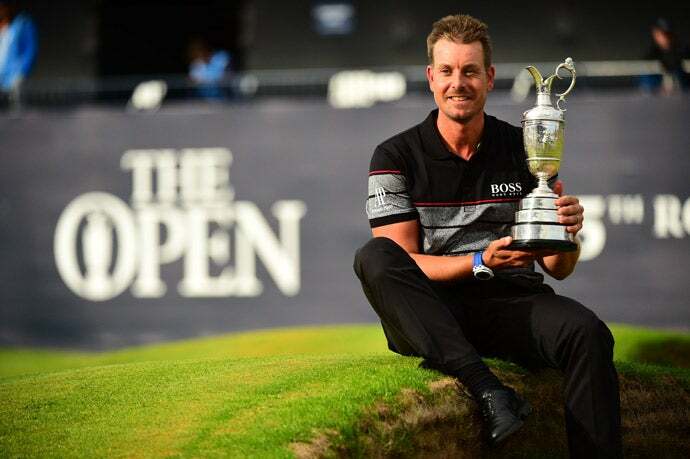 Henrik Stenson outdueled Phil Mickelson in the final round to win the 2016 Open Championship. 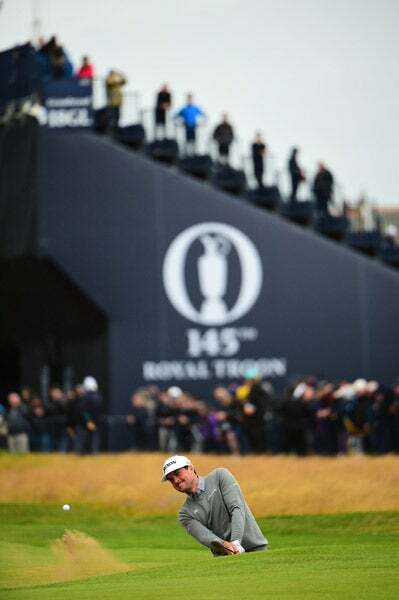 The champion poses with the claret jug. 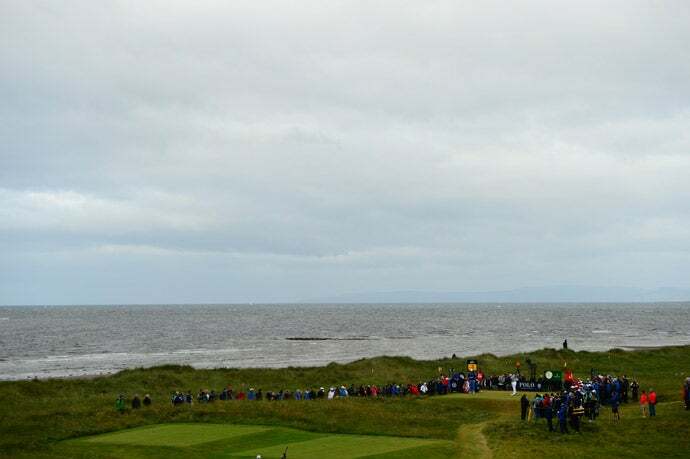 The scene at the 18th hole after the final putt dropped. 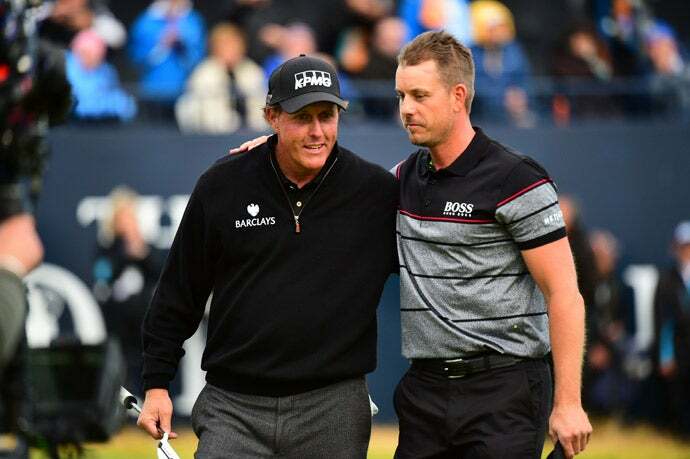 Phil Mickelson congratulates Stenson after the round. 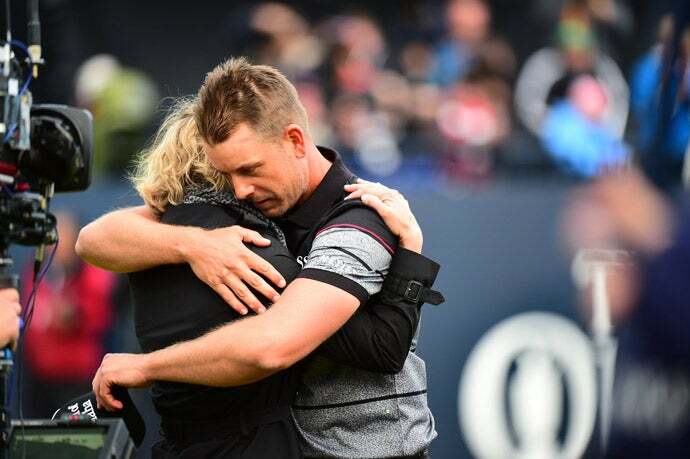 Stenson embraces his wife following his victory. 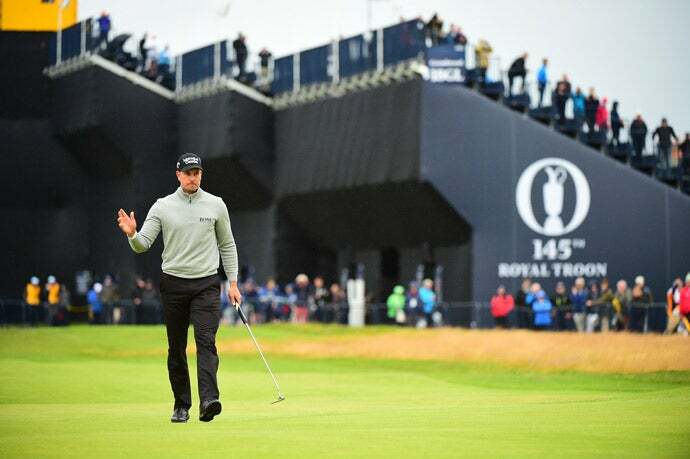 Stenson's final-round 63 also tied the record for the lowest round in major history. 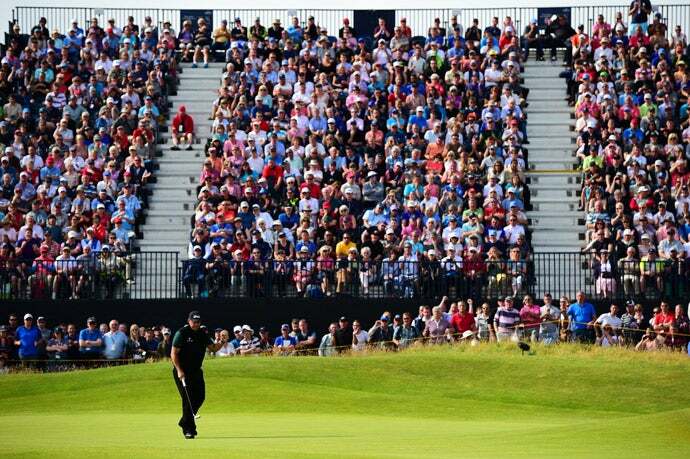 It is the first major victory of Stenson's career. 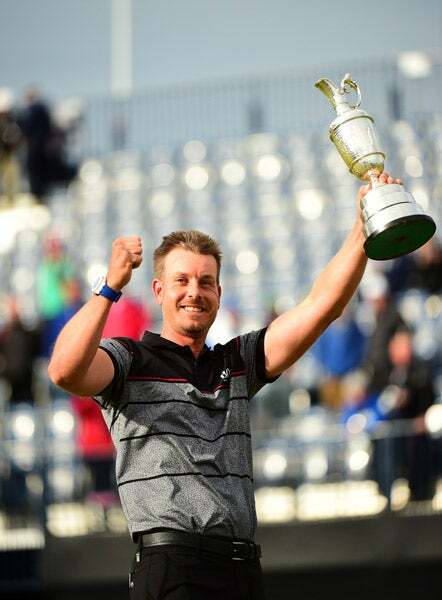 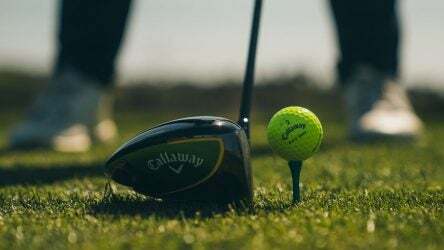 Stenson is the first male Swedish golfer to win a major. 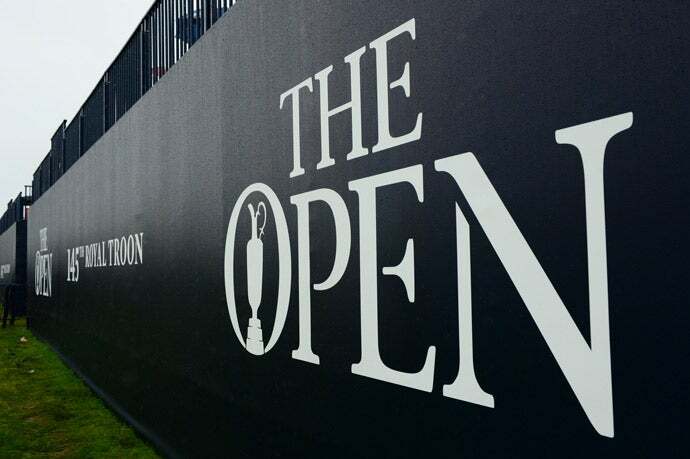 The claret jug on Sunday. 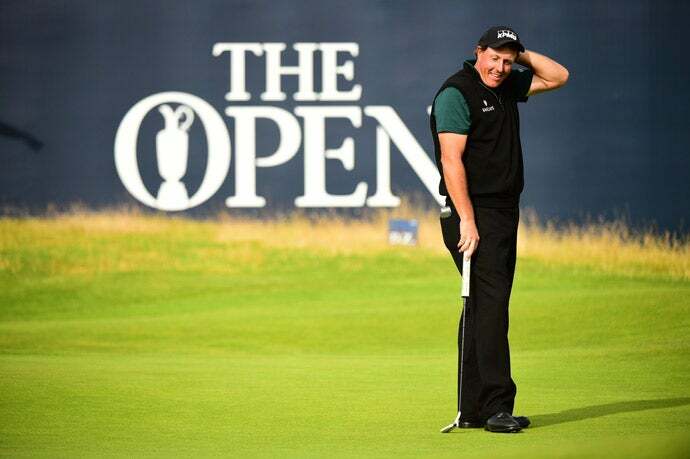 Phil Mickelson had a great round himself, shooting a six-under 65. 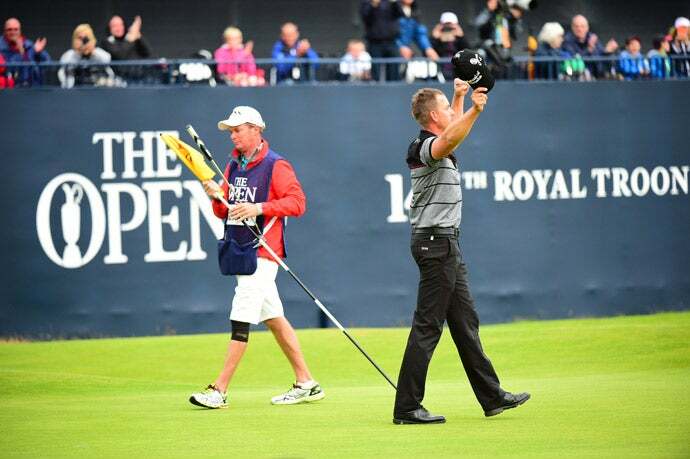 But it wasn't enough to keep up with Stenson. 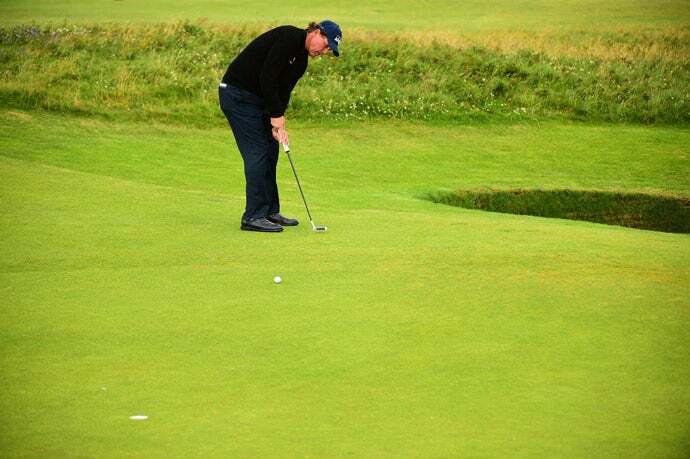 Phil Mickelson putts on Sunday. 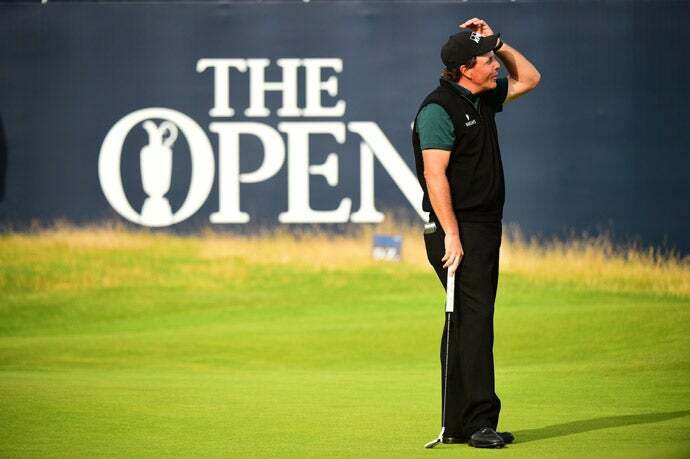 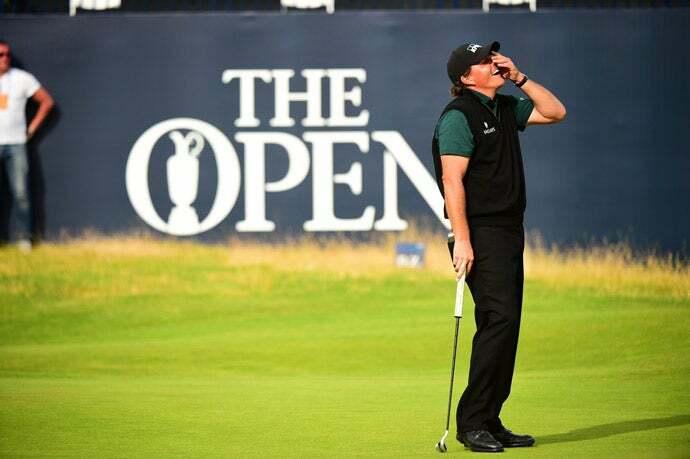 Mickelson won the Open Championship in 2013. 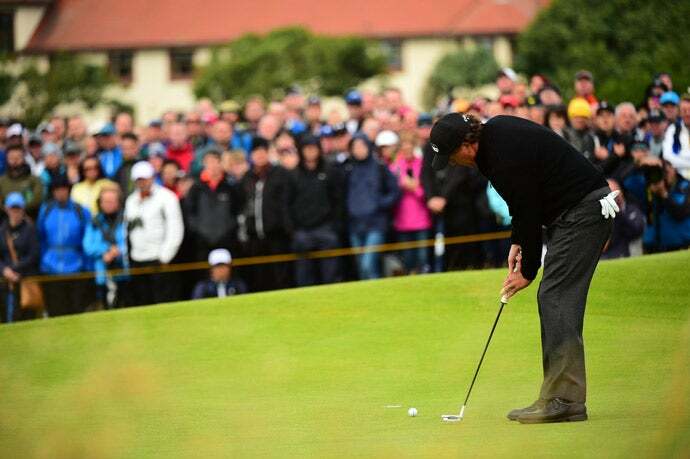 Mickelson birdied the 1st hole on Sunday. 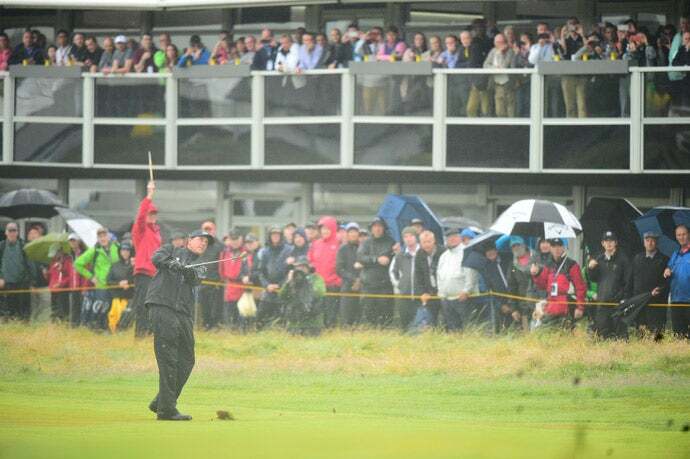 Mickelson hits his tee shot on the 2nd hole. 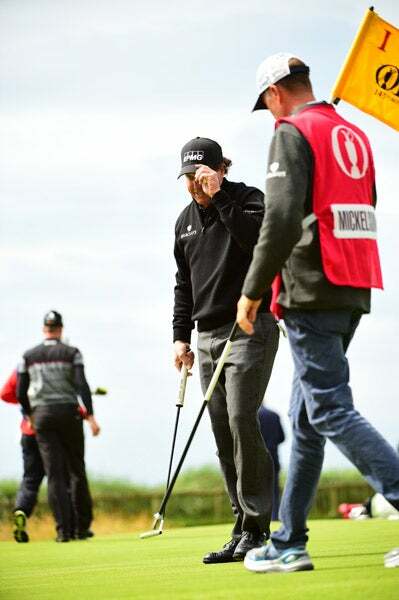 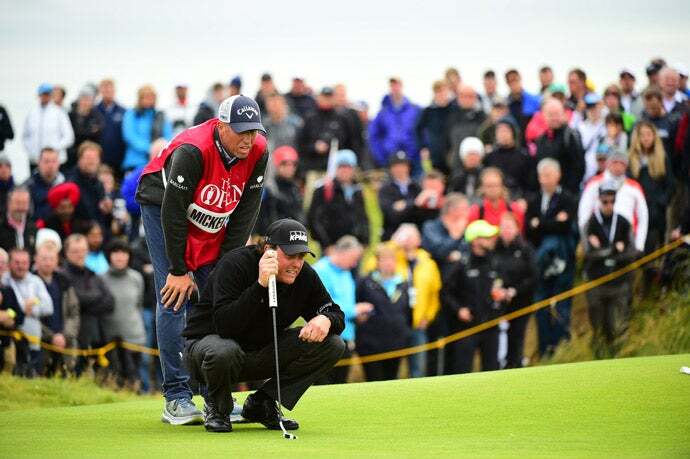 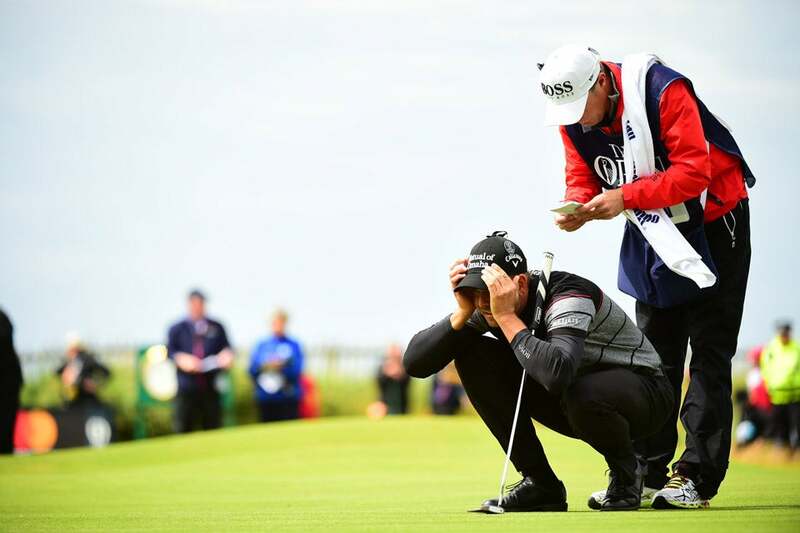 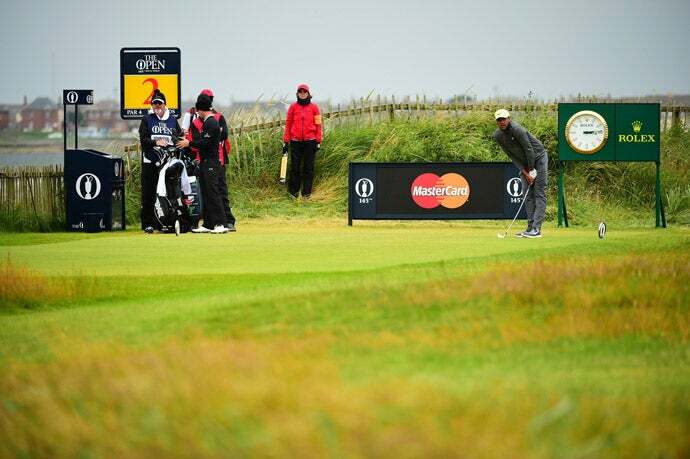 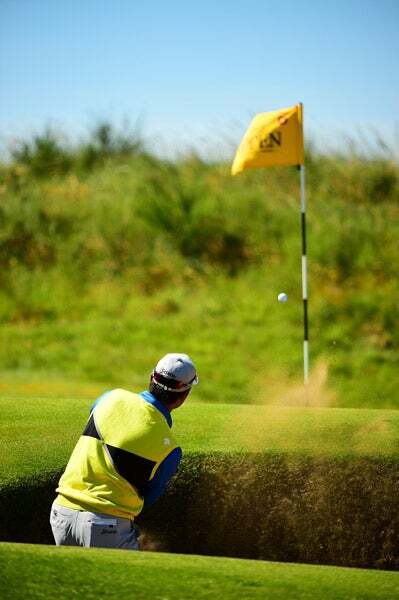 Henrik Stenson crouches to read a putt during the final round of the British Open. 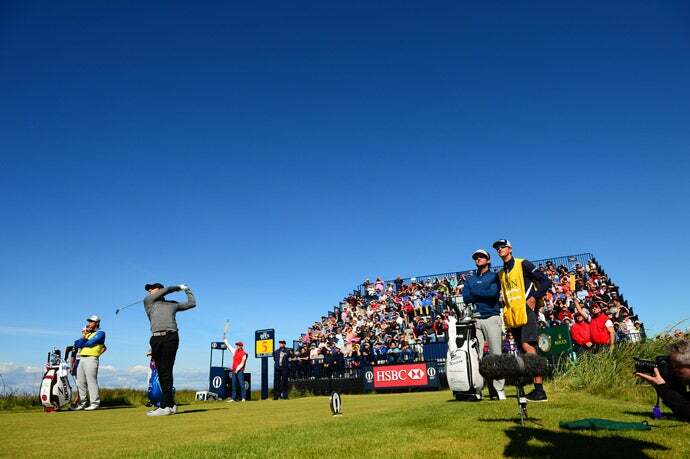 Stenson tees off on the 2nd hole on Sunday. 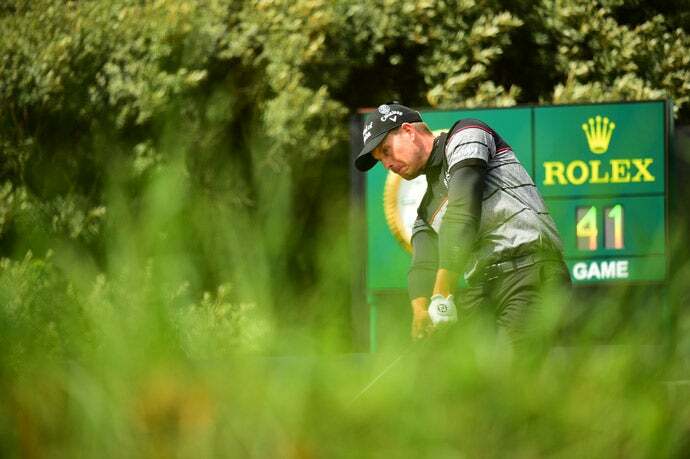 Stenson started the final round with a one-shot lead. 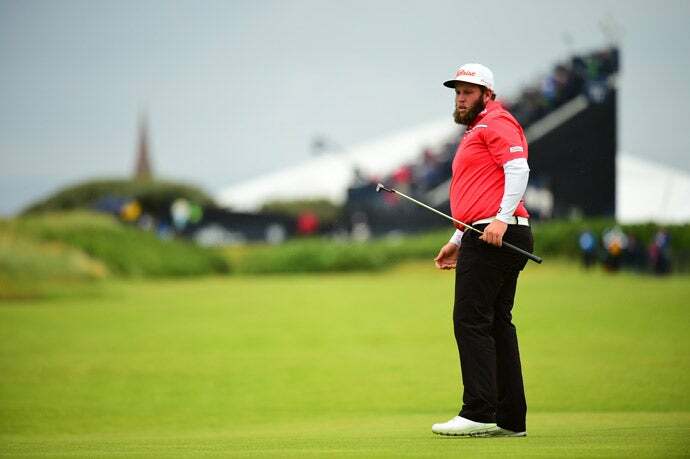 Andrew "Beef" Johnston watches one of his tee shots Sunday at Royal Troon. 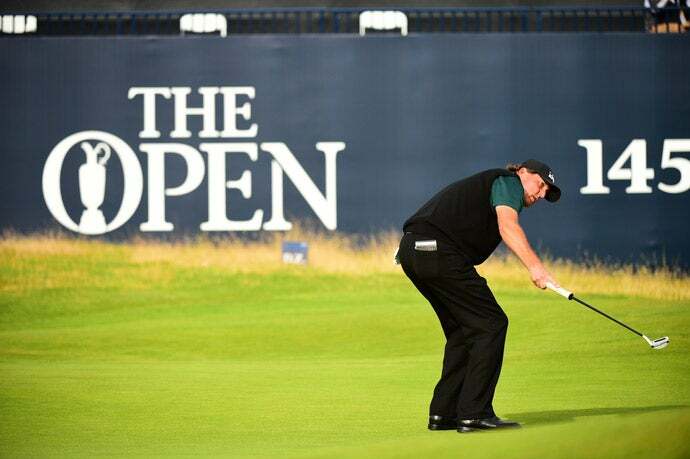 Phil Mickelson had to grind through a tough round on Saturday at Royal Troon. 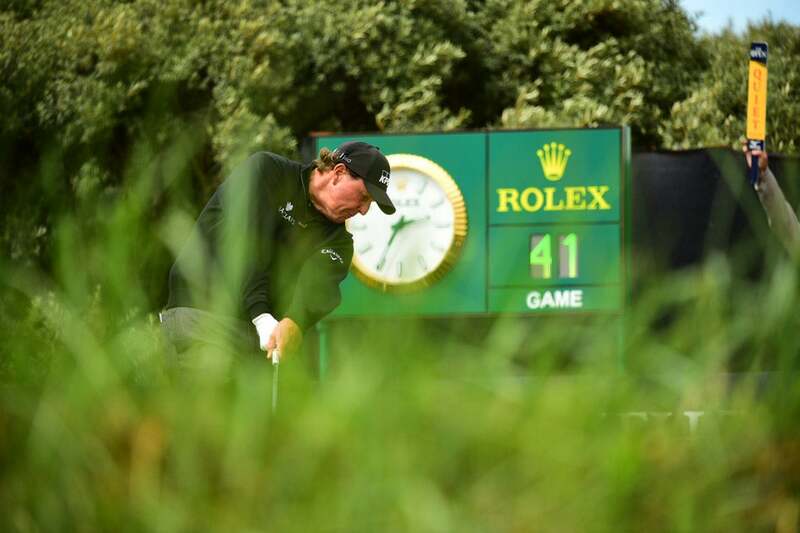 Mickelson finished with a 70, but it wasn't enough to maintain his lead. 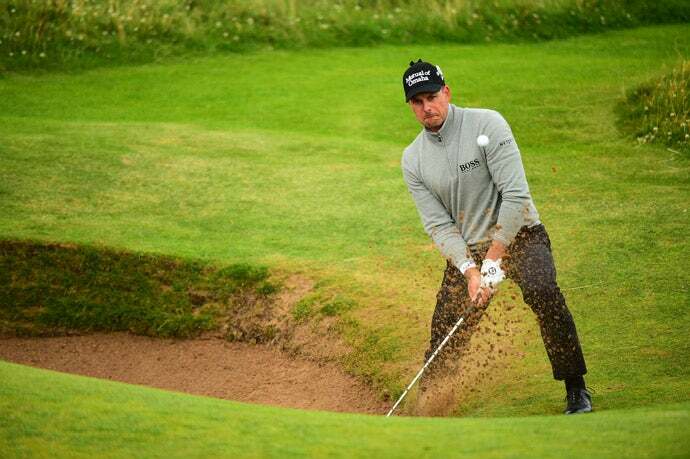 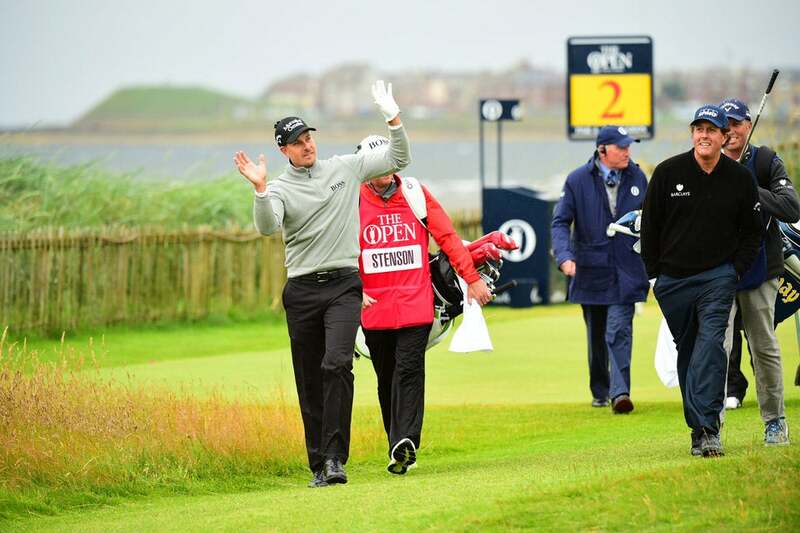 Henrik Stenson fired a three-under 68 to take over in the third round. 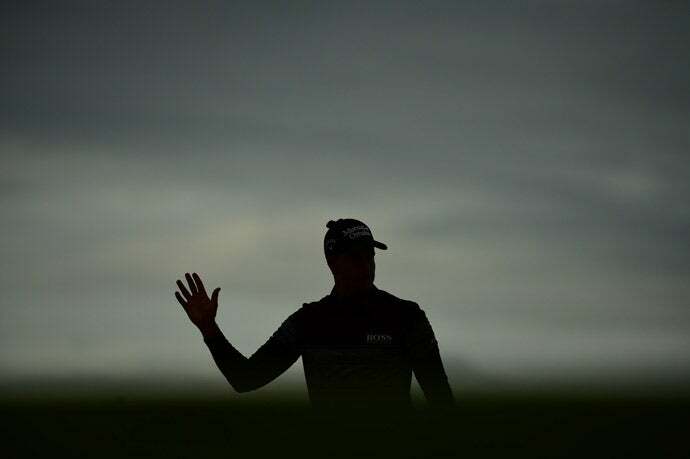 Stenson will carry a one-shot lead into the final round of the Open. 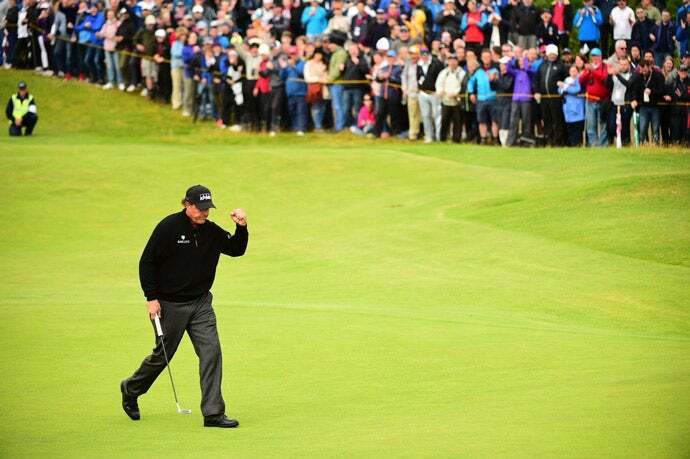 Phil Mickelson began the third round with a one-shot lead. 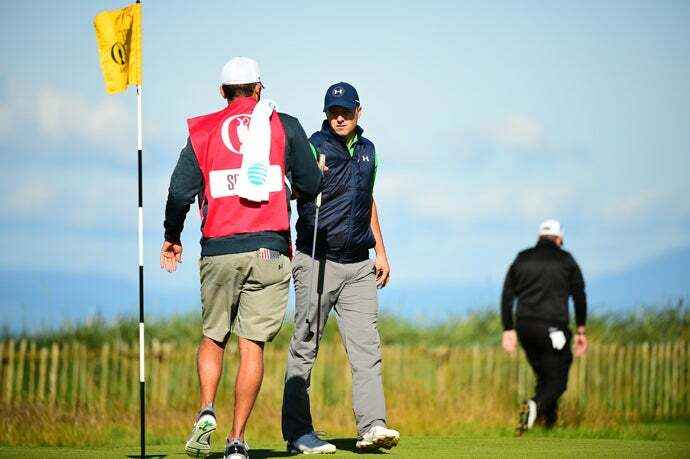 Jordan Spieth shot a one-over 72 in the third round. 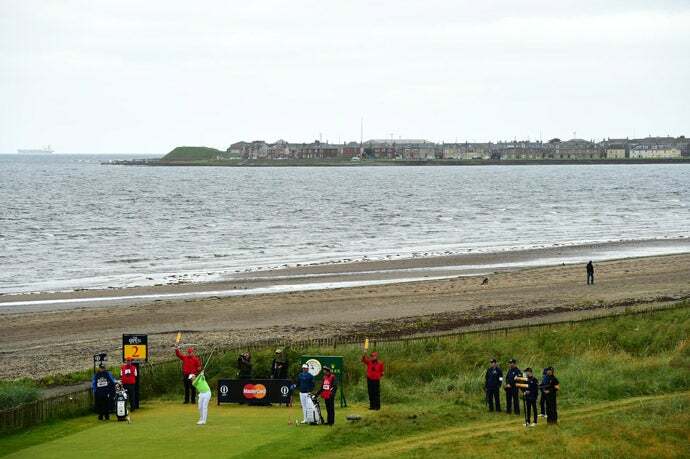 A view of the course Saturday morning. 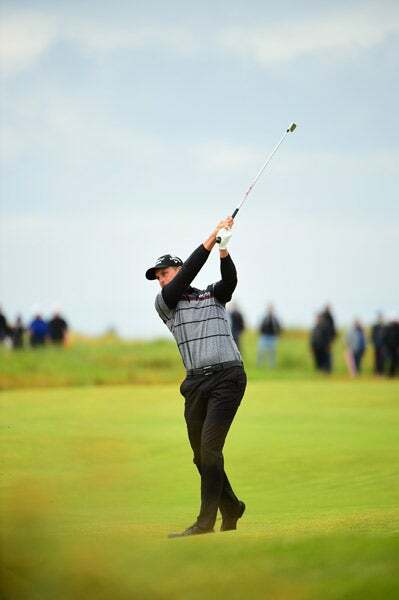 Henrik Stenson played in the final group with Phil Mickelson in round 3. 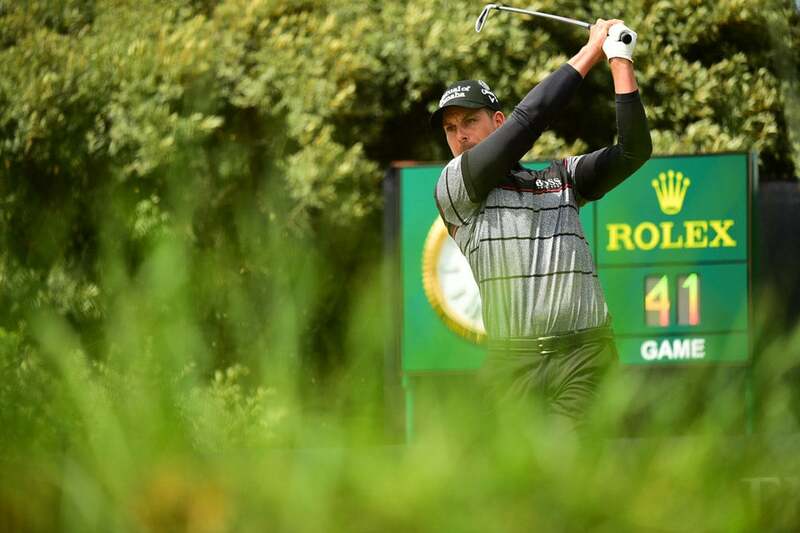 Stenson and Mickelson were tied for the lead for much of the day. 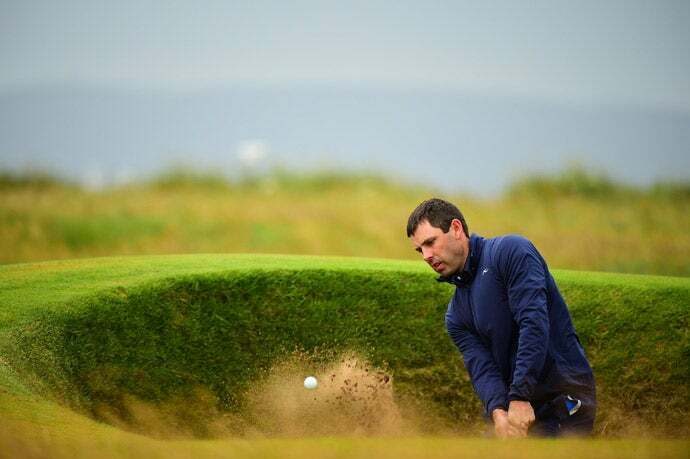 Charl Schwartzel during the third round at Royal Troon. 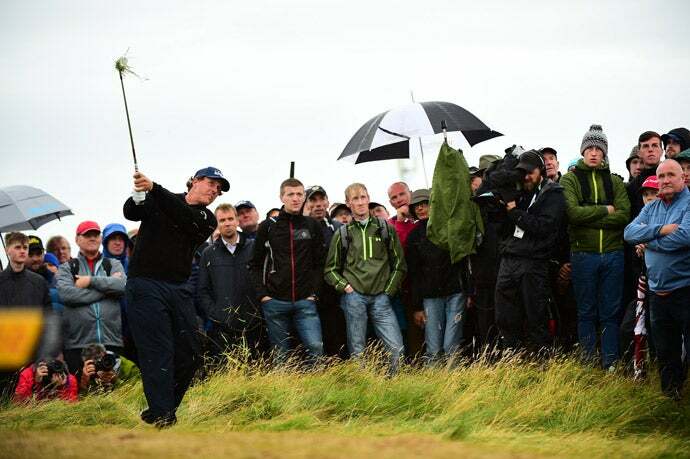 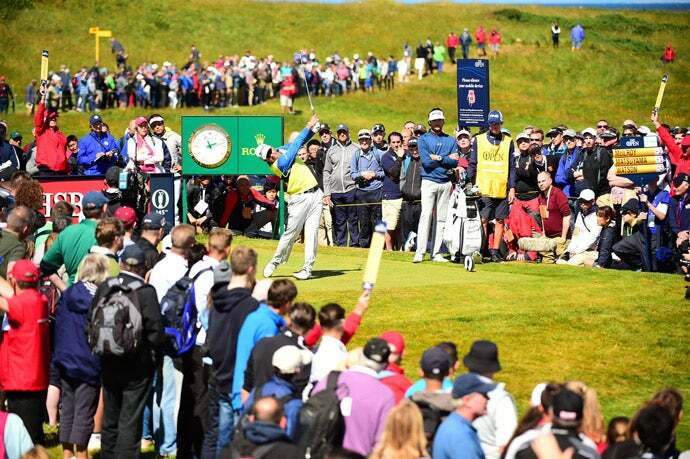 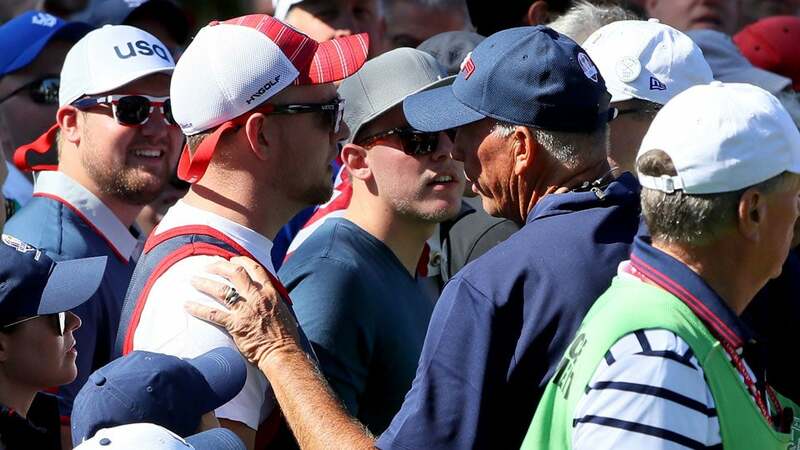 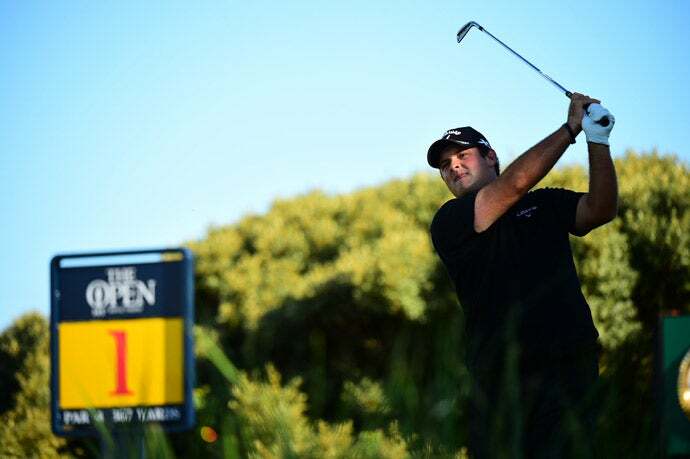 A man named Beef gained a lot more fans at the British Open. 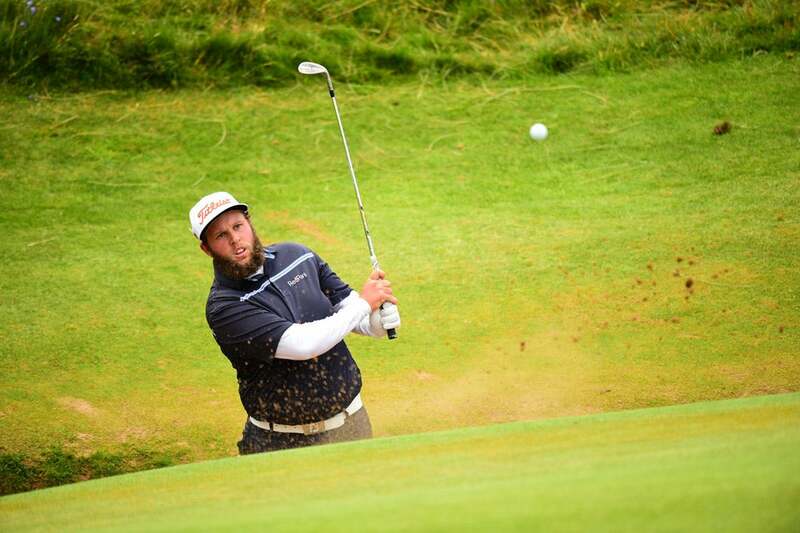 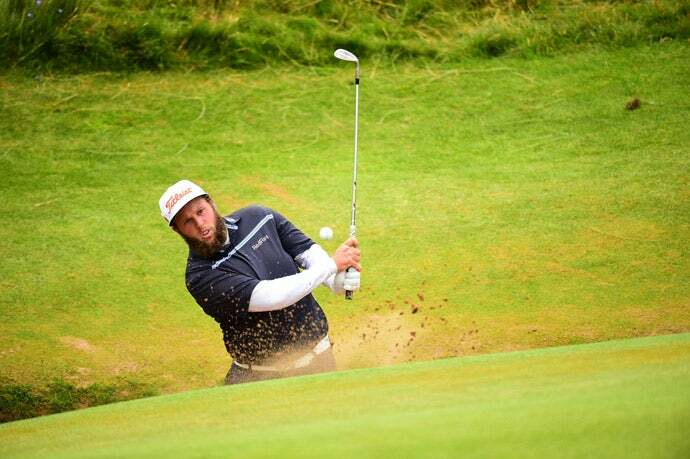 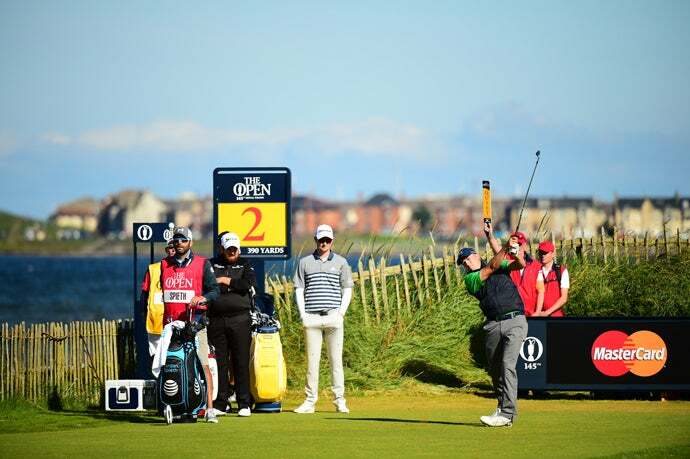 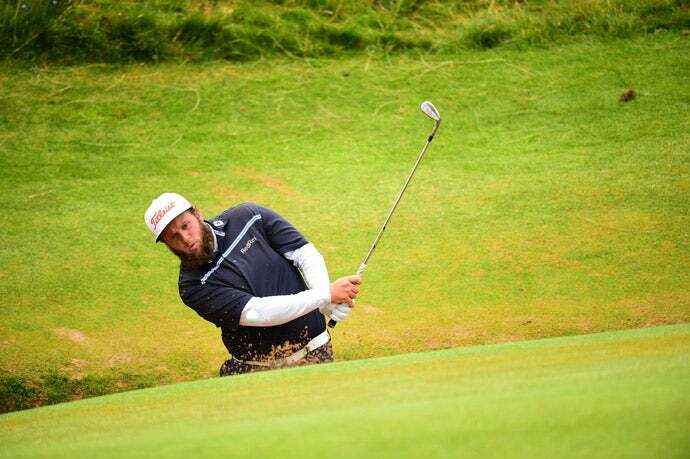 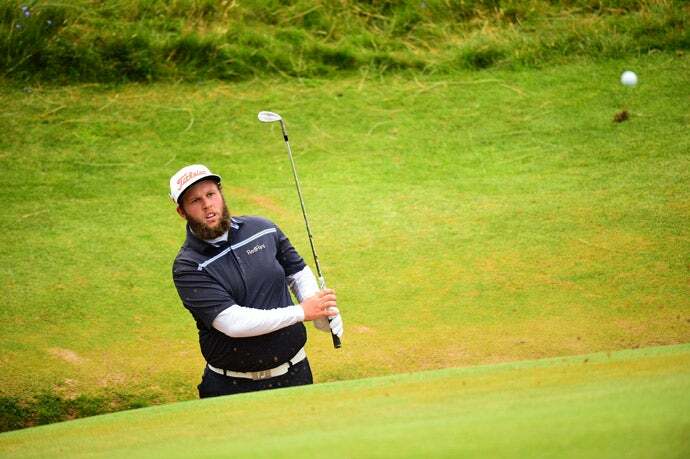 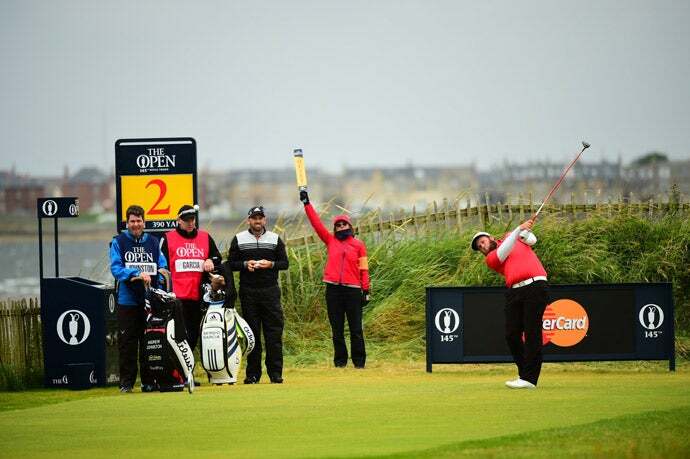 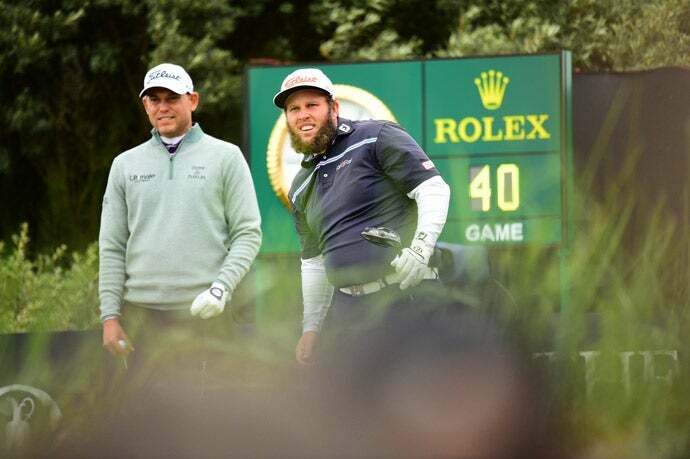 Andrew "Beef" Johnston tees off the 2nd hole during the third round of the British Open. 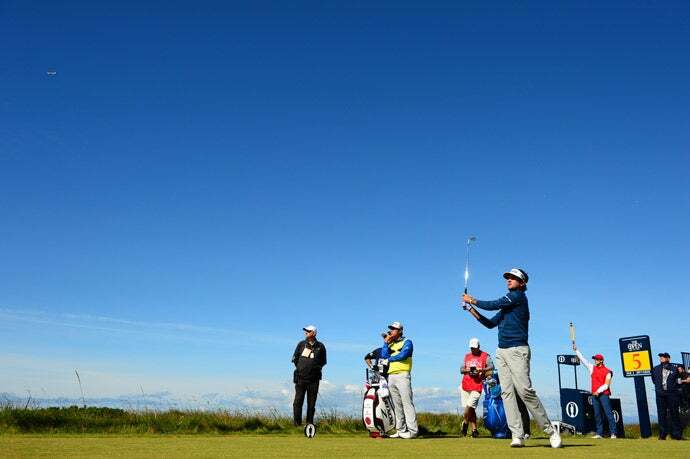 Keegan Bradley in round 3. 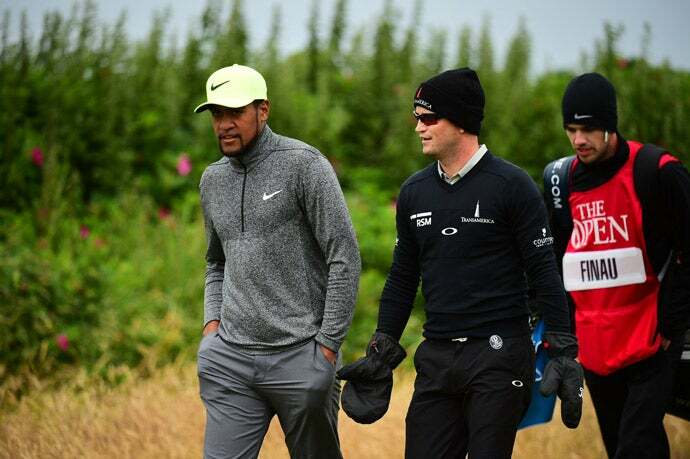 Tony Finau and Zach Johnson were paired together in the third round. 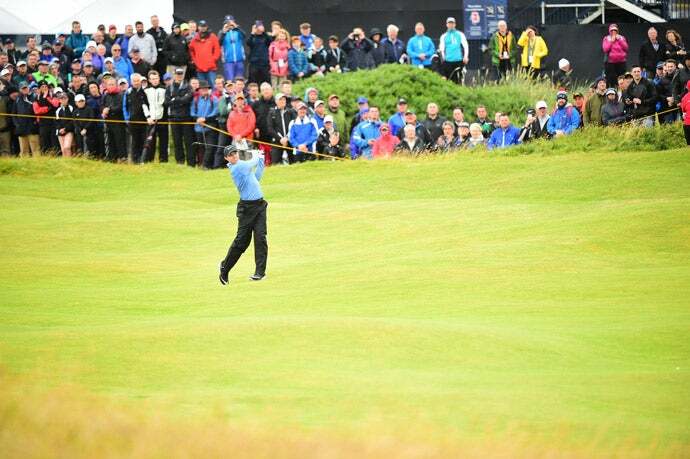 Sergio Garcia on the 2nd tee. 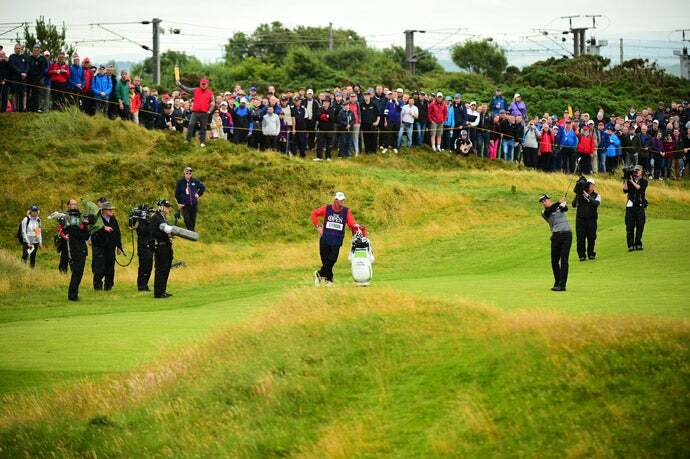 Zach Johnson hits his tee shot on the second hole Saturday. 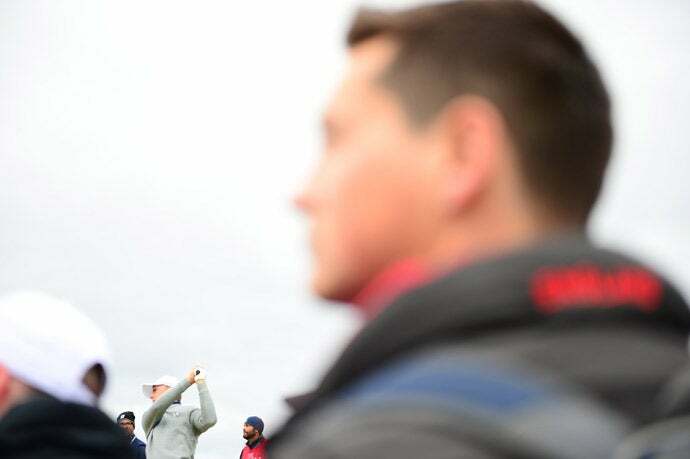 2016 Masters champion Danny Willett on Saturday. 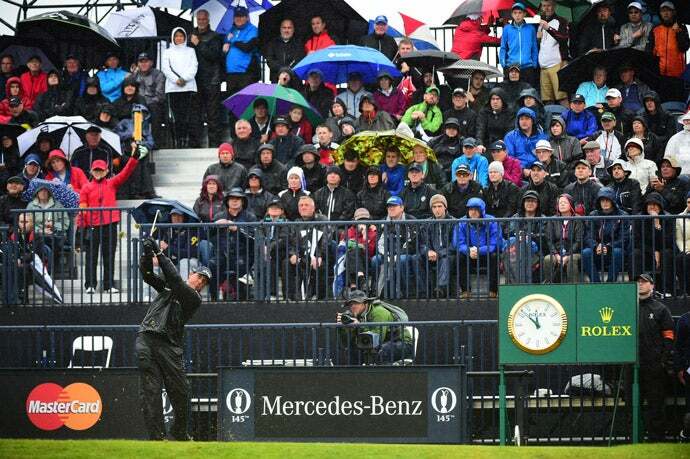 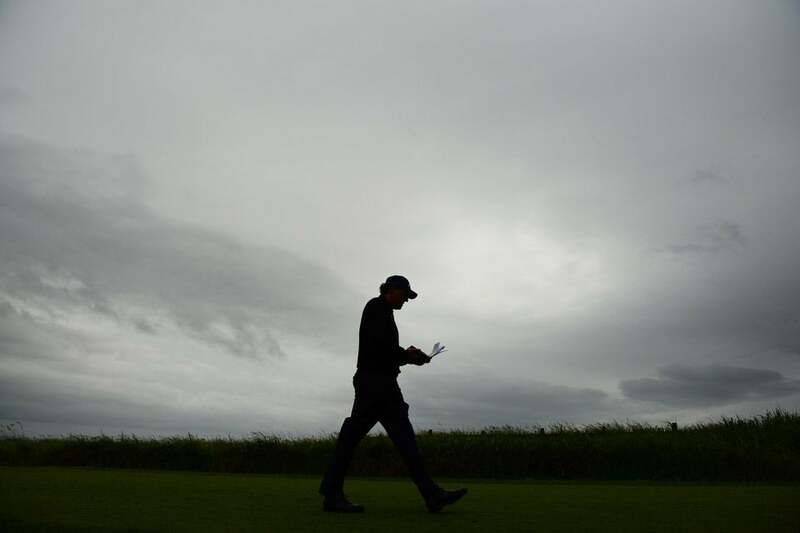 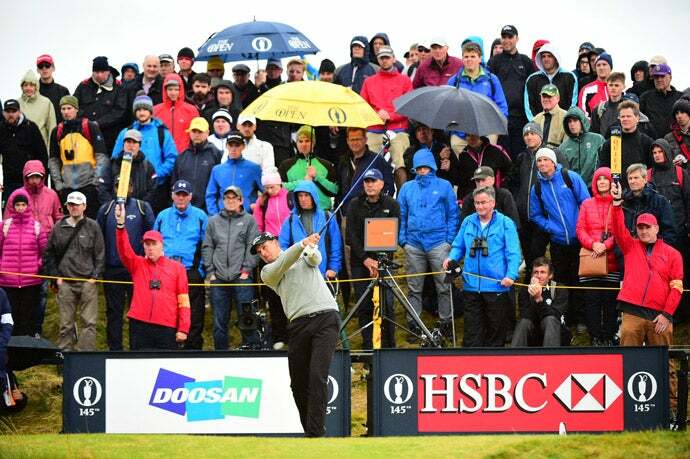 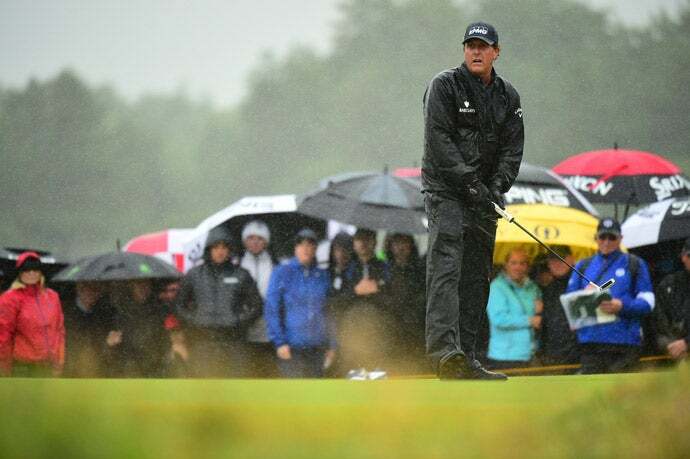 Phil Mickelson fought through stormy conditions during the second round Friday morning at Royal Troon. 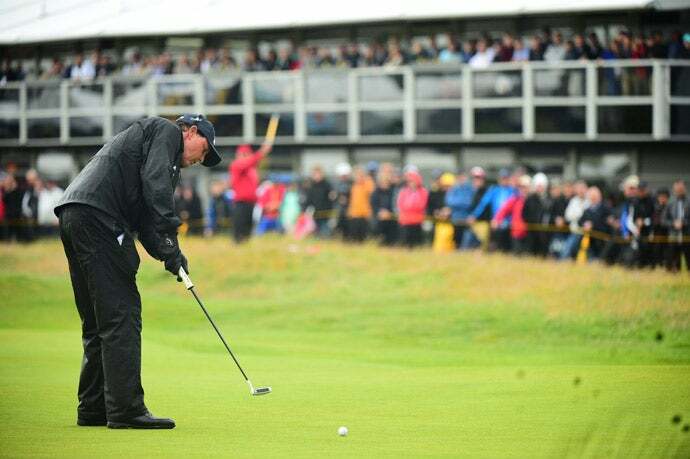 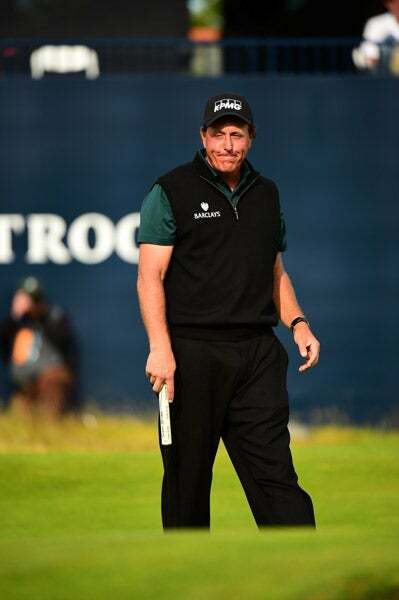 Phil Mickelson closed with a 65 on Sunday to finish just outside the top 10 at the Scottish Open. 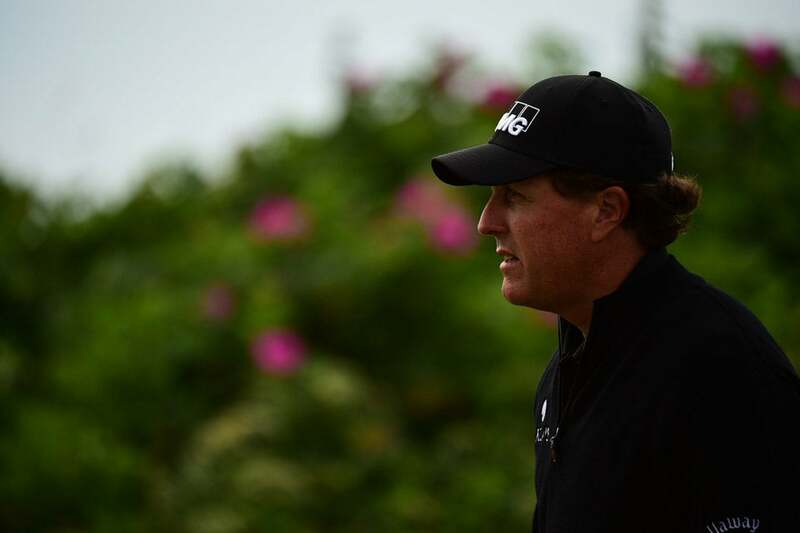 Phil Mickelson shot a 2-over 72 on Sunday to finish T28. 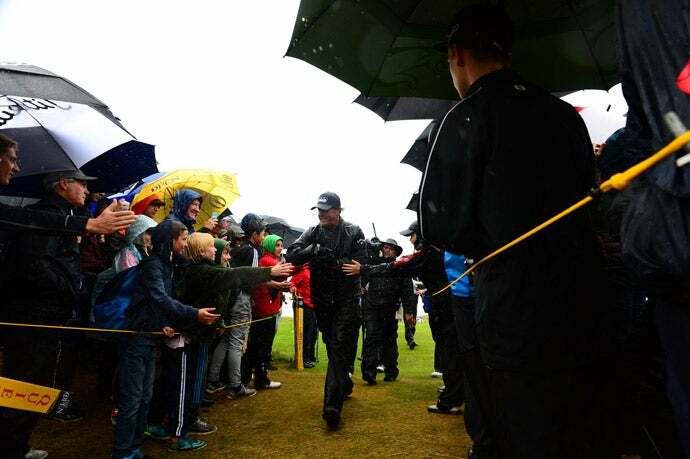 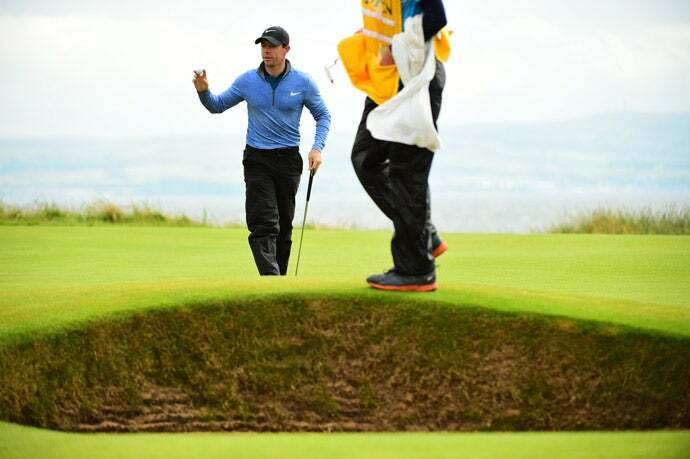 Rory McIlroy tried his best to catch up on Friday in bad conditions. 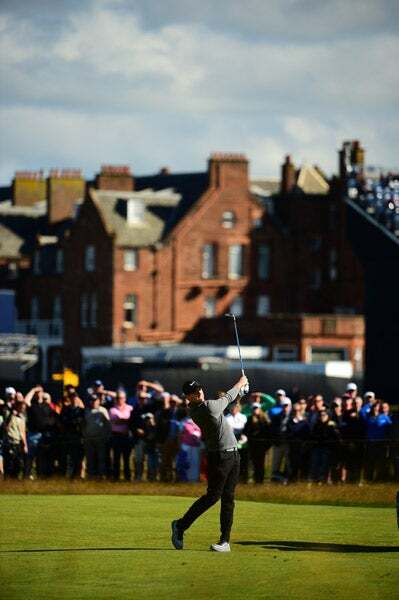 The four-time major champion made three birdies on the front nine. 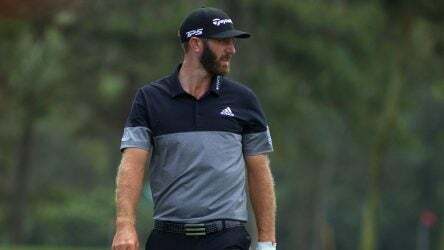 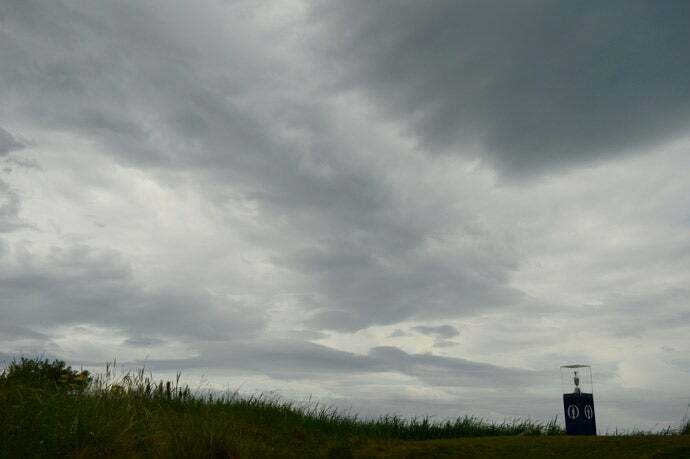 Beginning the day with a large 10-6 lead, Team Europe never looked back, rolling to an easy victory in Sunday singles to retain the Ryder Cup. 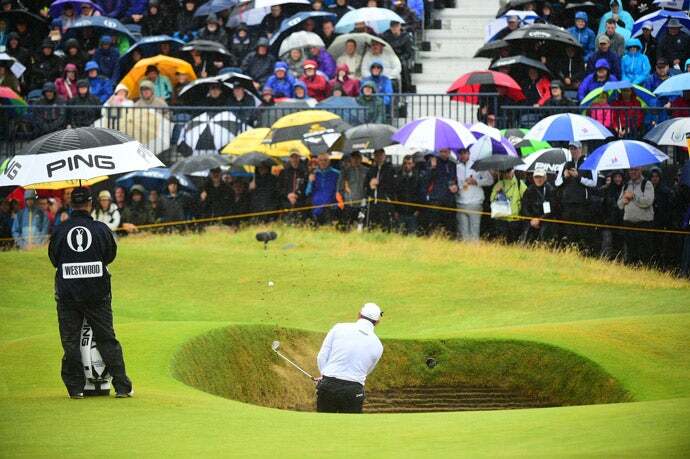 Westwood hitting out of a deep pot bunker during round 2. 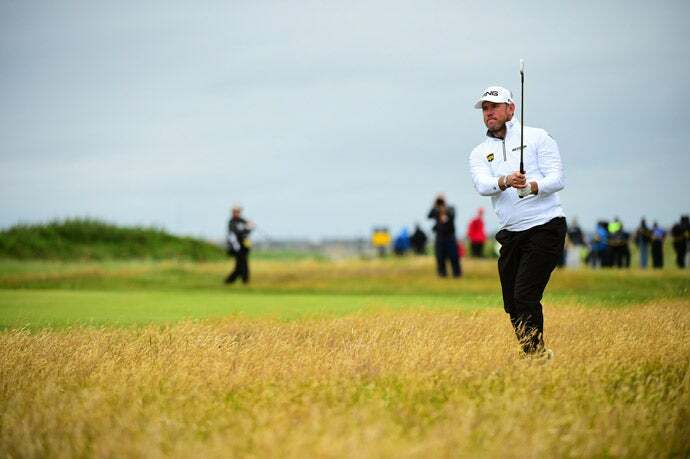 Westwood tries to escape from heather on Friday. 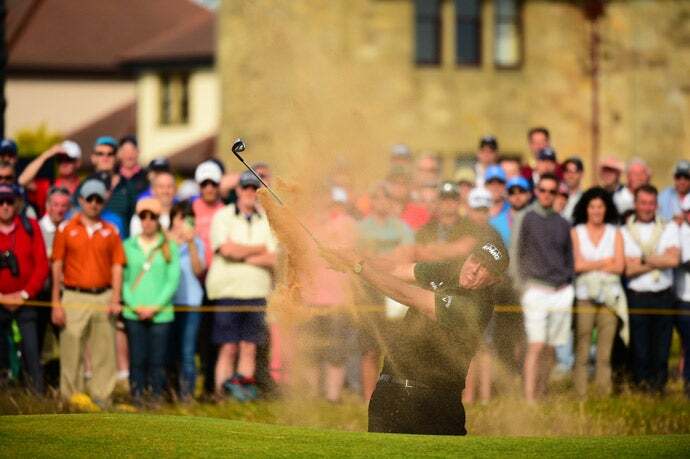 Lee Westwood tees off on the 11th hole during the second round of The Barclays. 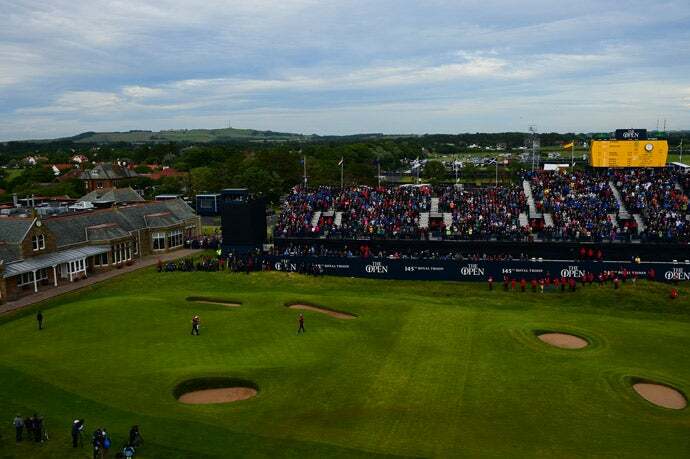 A view of the 9th tee. 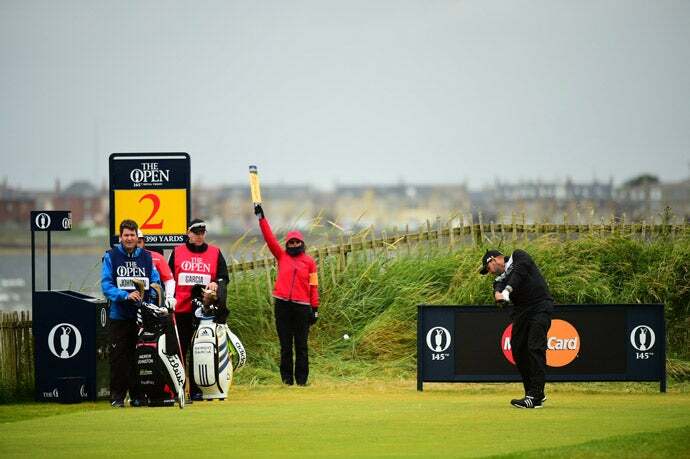 Els hits on the 2nd hole. 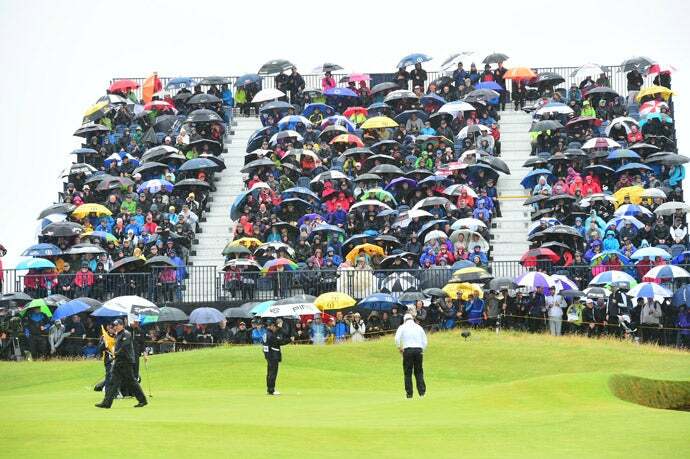 Two fans have their picture taken on the 18th hole. 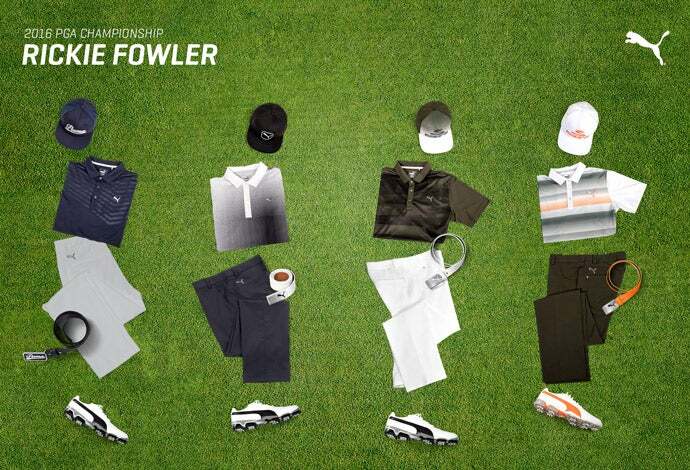 Rickie Fowler will play in this week's Australian PGA. 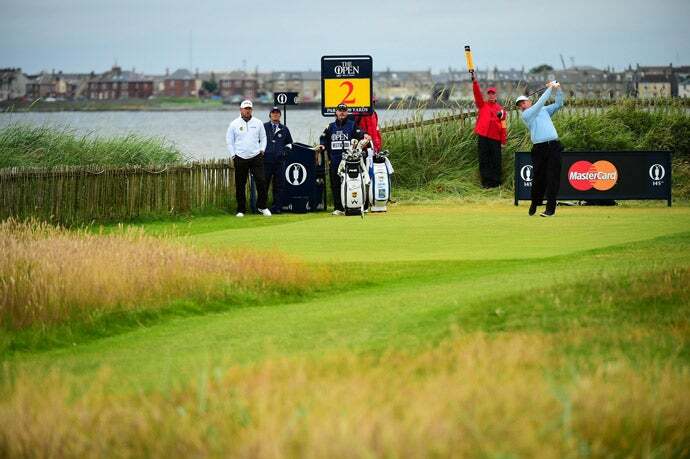 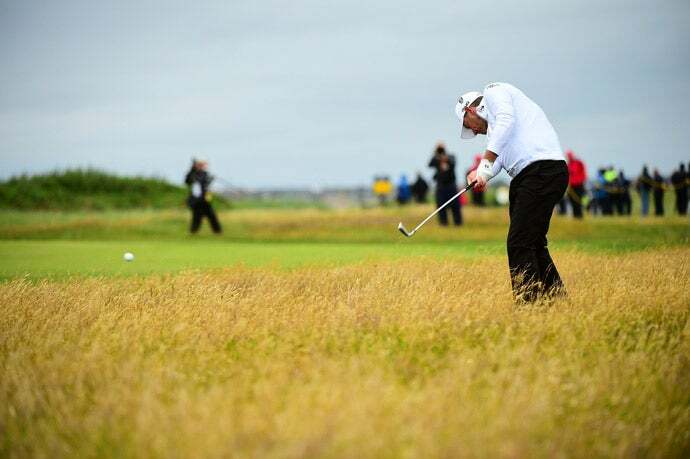 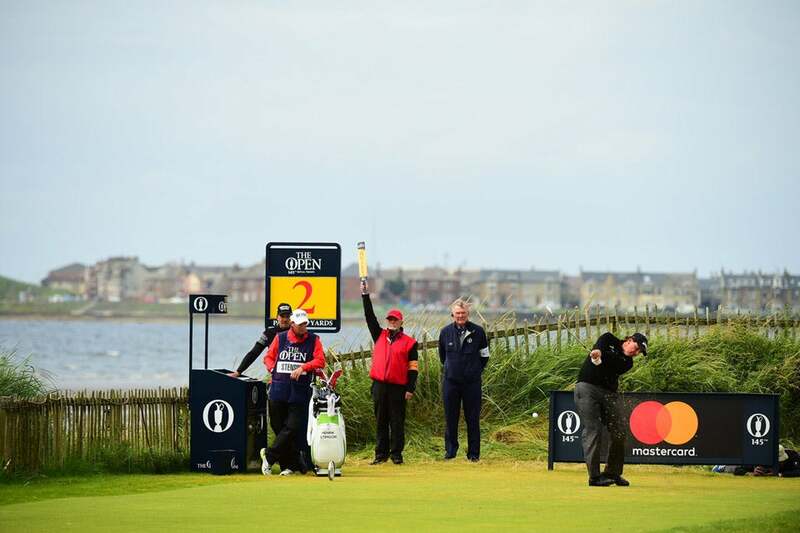 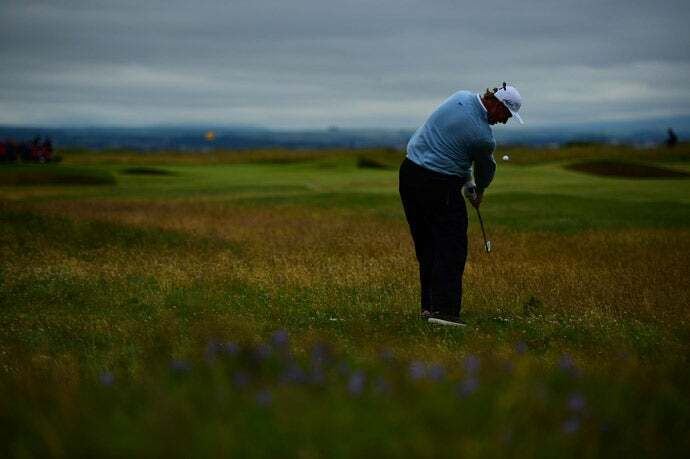 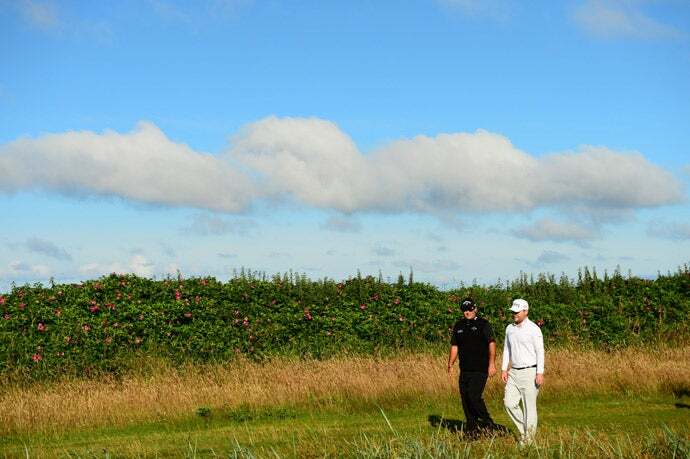 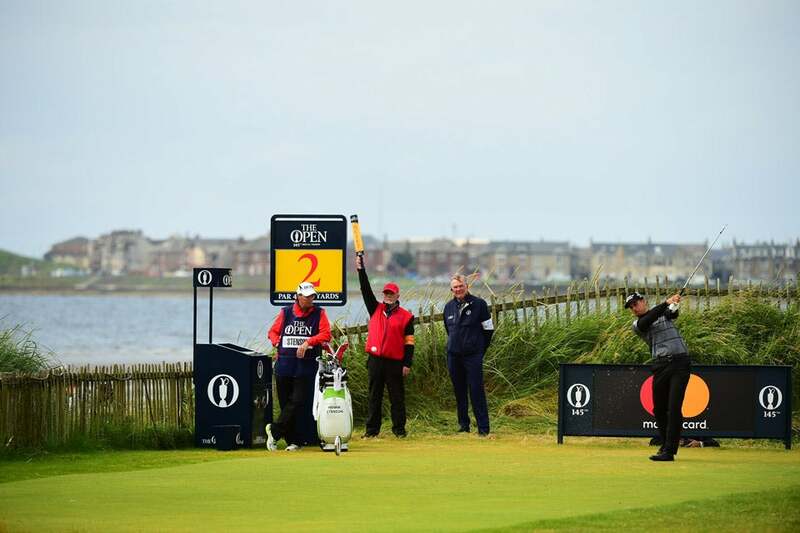 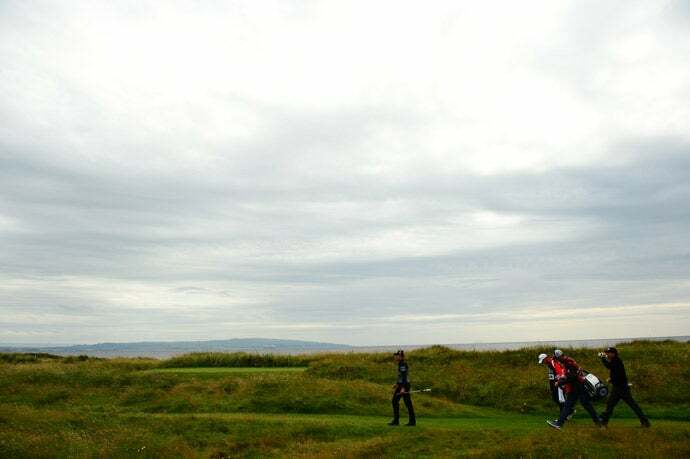 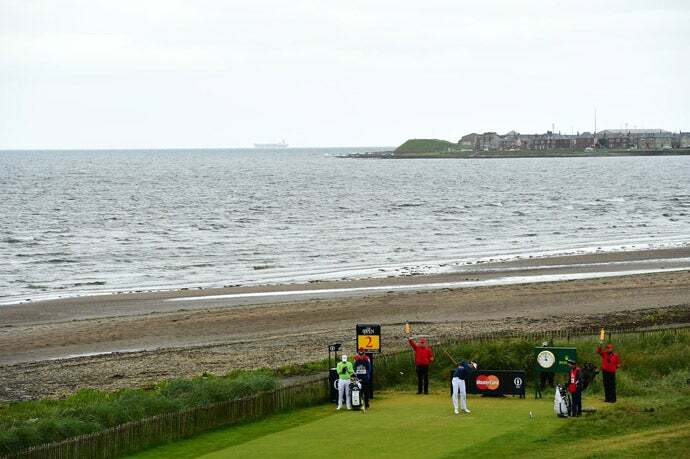 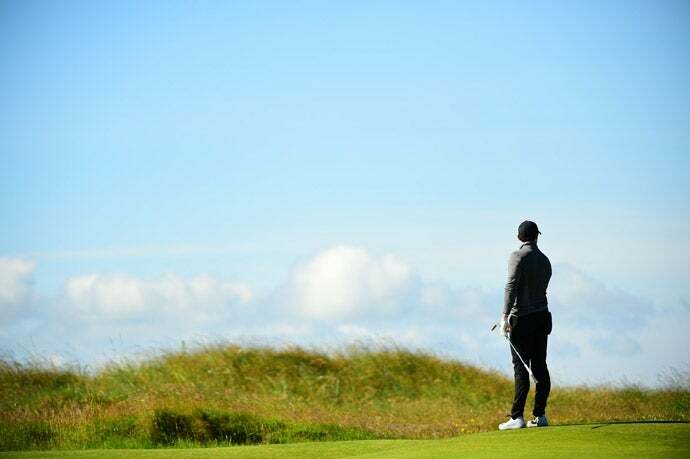 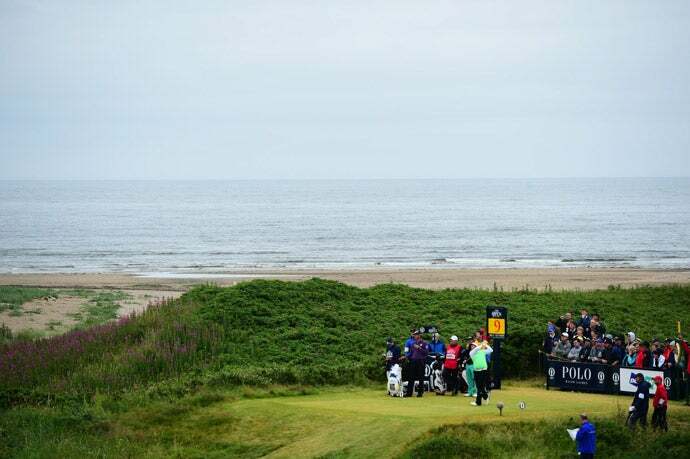 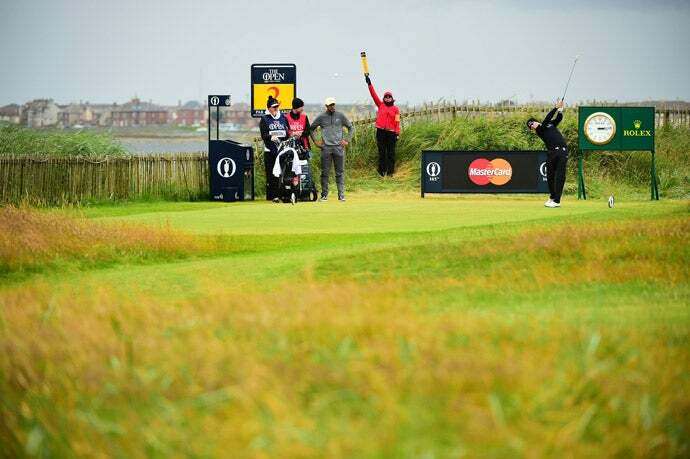 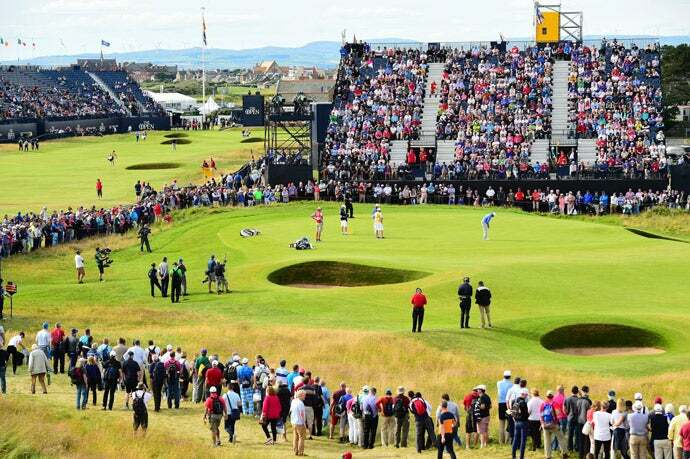 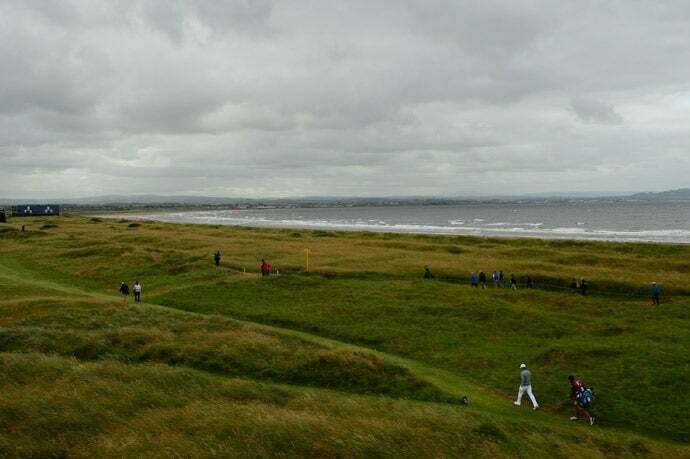 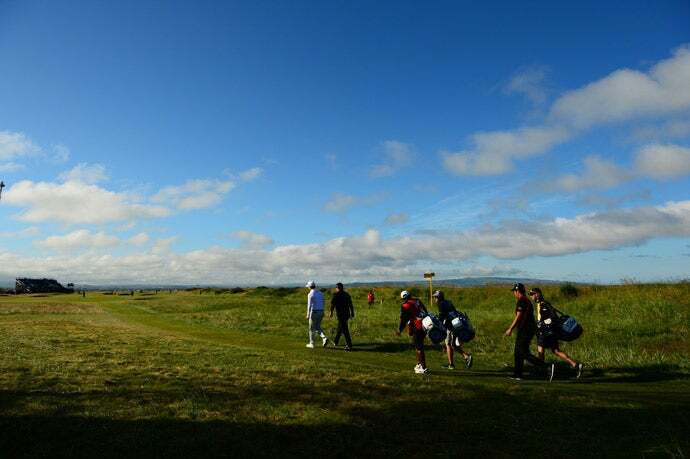 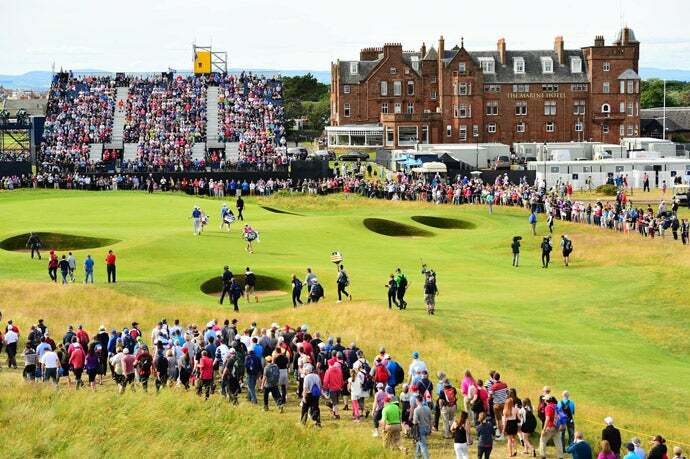 The scene Thursday during the first round of the British Open at Royal Troon Golf Club. 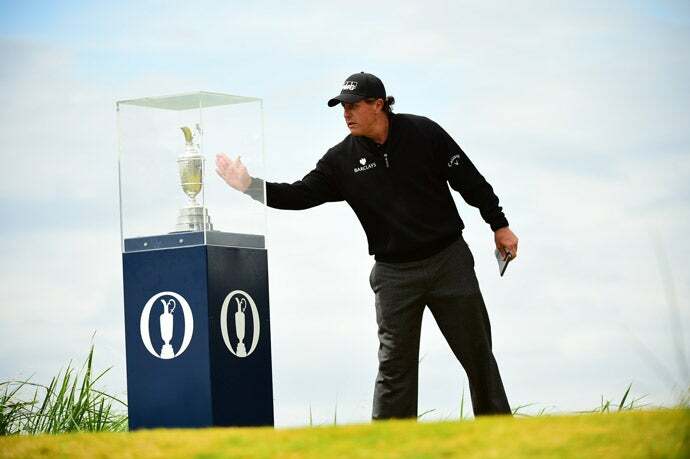 Phil Mickelson (with Jim Mackay) needs a victory in the U.S. Open to become the sixth player to win the modern Grand Slam. 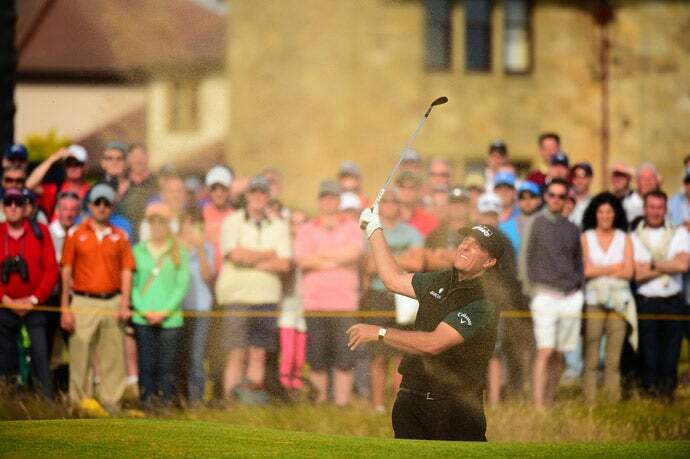 Despite that, Mickelson finished with 63 and a three-shot lead after the first round. 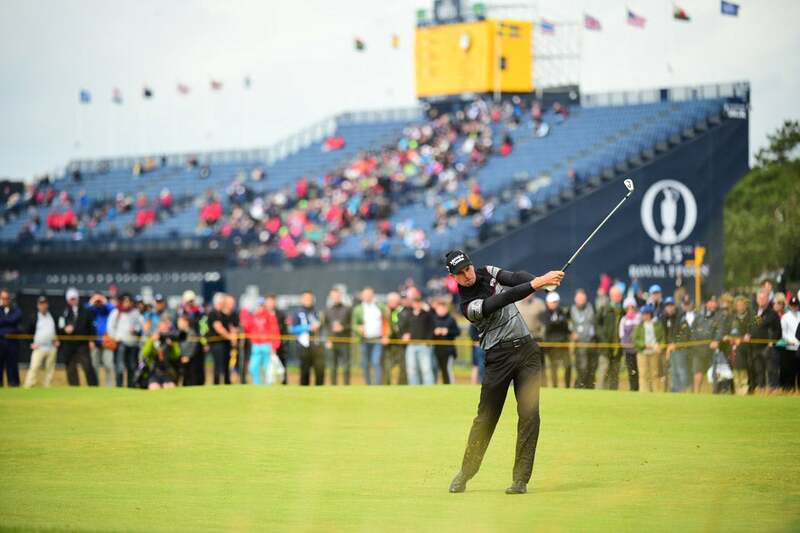 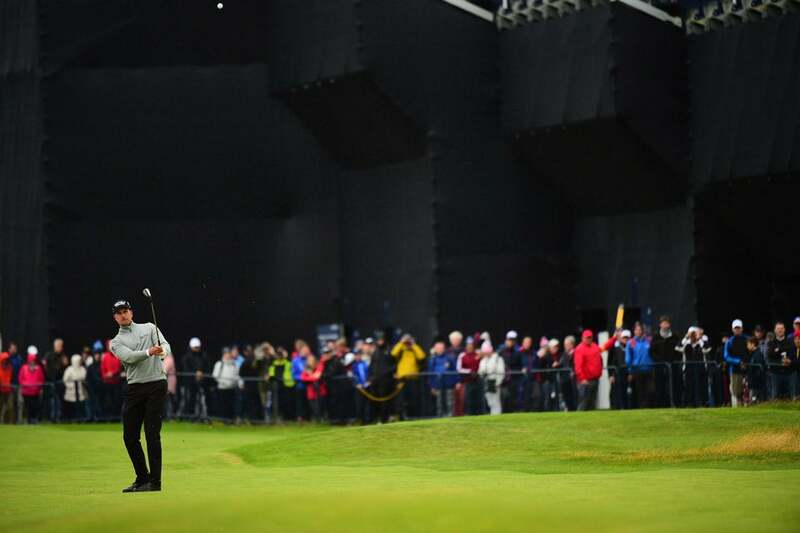 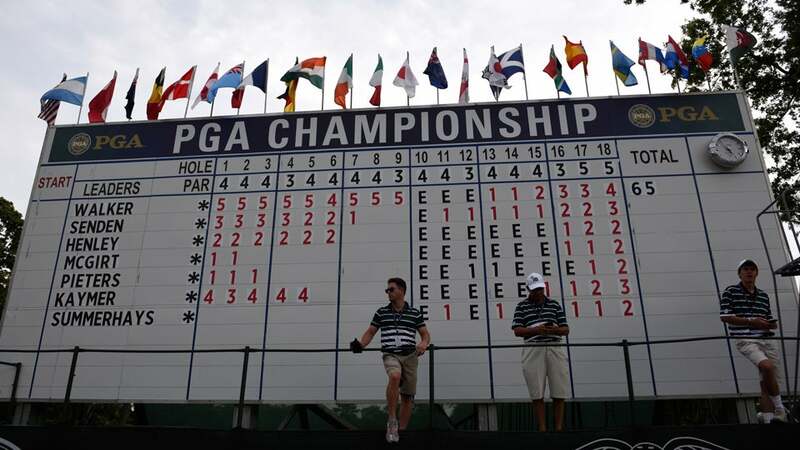 Mickelson's incredible round featured eight birdies. 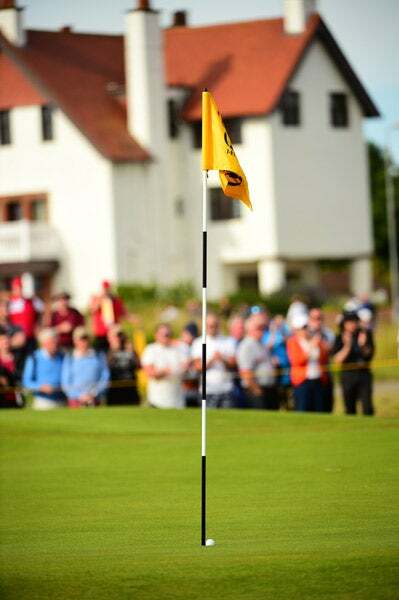 Lee Westwood's golf ball can be seen after Westwood chipped in during the first round. 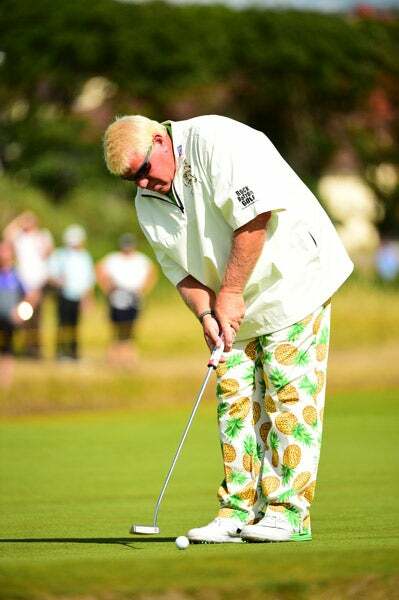 John Daly at the Travelers Championship golf tournament at the TPC River Highlands on June 19, 2014. 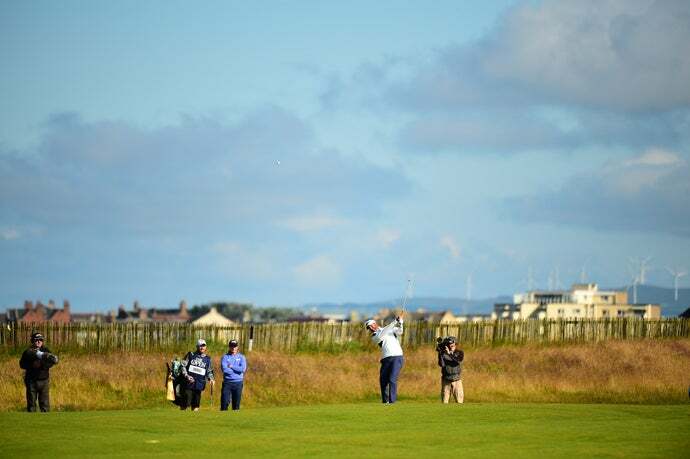 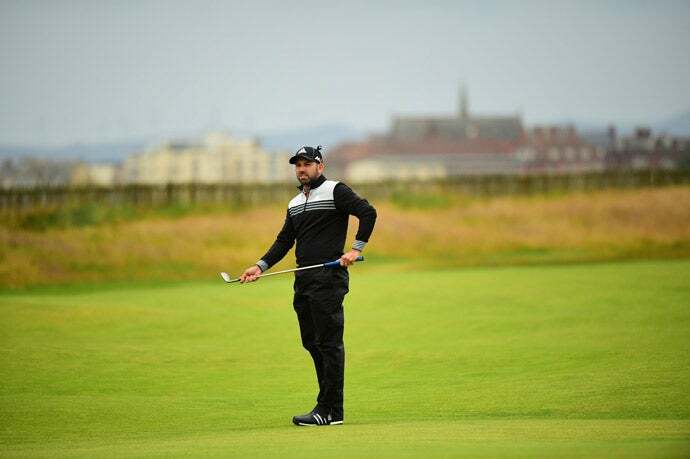 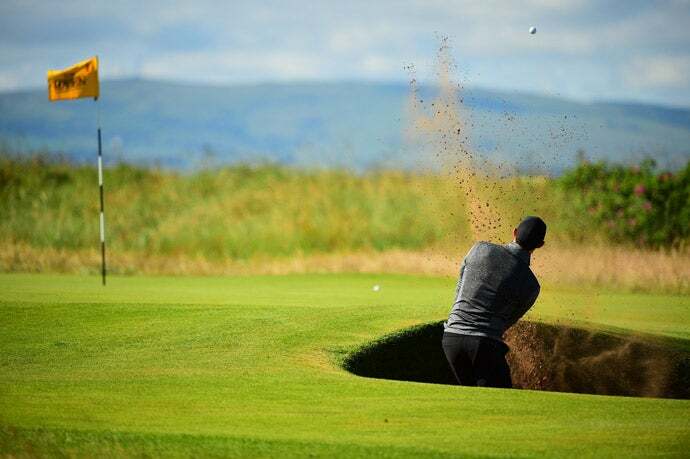 Scott Piercy Thursday at Royal Troon.